Life can be beautifully tame at times, which can be nice. But then, what's life without a bit of excitement? 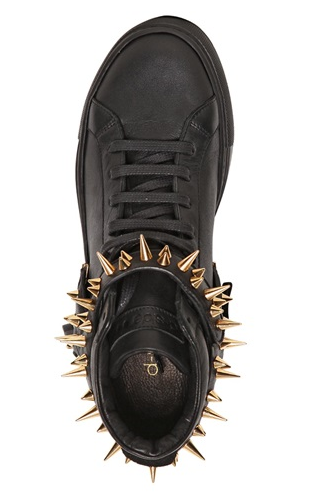 Further, what's footwear without a decent dose of the cheeky? 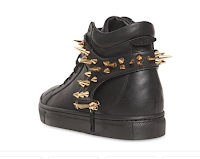 D-Side's Metal Spikes Strap Leather Sneakers are that appropriate amount of cheekiness to wonderfully tame with the unzip of a zipper. 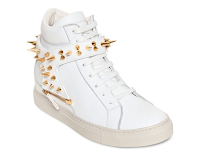 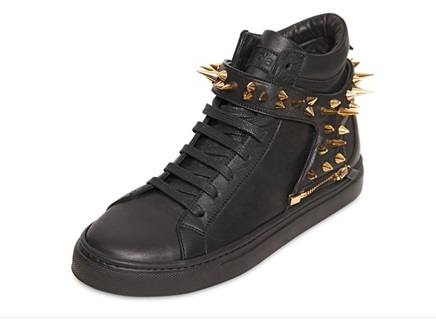 The spiky leather harness unzips at the heel to leave the wearer with a simple non-gilded attractive leather hi-top. 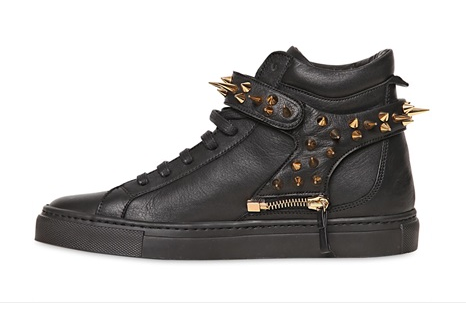 Something cool for both your sides. 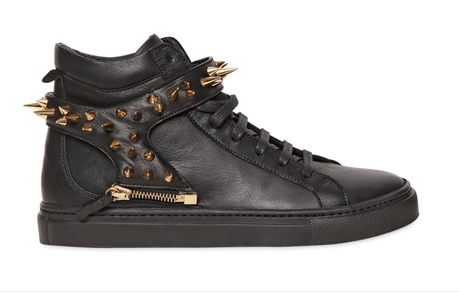 Available now in two color-ways at LuisAviaroma.com.